Q: What types of research need to be approved by the IRB? A: Any research that involves human subjects. Q: What if my research involves strategies designed to increase the St. Louis population? Would I need approval? A: No, you would not need approval if your study does not involve the use of human subjects. Q: Why do I need approval? A: History has shown that abuses have taken place in the use of human subjects. One of the most infamous such study is the Tuskegee’s Syphilis Study. Overall, the risks to subjects must be minimized, and subjects who participate in a study must be aware of the risks, as well as the benefits, of participating. Q: How do I get subjects to participate in my study? A: That depends on how the study is developed and the degree to which it affects individuals personally. Informed consent must be given by participants, meaning that they must give their written permission to participate in a particular study. This is usually a form that is signed by the participant. Q: Will the IRB help me develop my research or study? A: No, the role of the IRB is not to assist in developing research proposals or studies, but to determine whether or not human subjects are protected. In some instances, suggestions might be given to help applicants comply with the IRB standards. Q: What happens if I decide not to seek IRB approval? A: Your research or study will not be sanctioned by the University. This means that you cannot continue to conduct your research and use human subjects associated with Harris-Stowe State University. Q: If I received IRB approval at another institution, do I still need to receive approval from Harris-Stowe’s IRB? A: Yes, if you are utilizing human subjects at Harris-Stowe, you will still need IRB approval from Harris-Stowe. 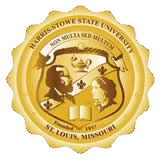 If you are conducting research or working under a grant that is connected to Harris-Stowe, you need Harris-Stowe’s approval. A: You may reach the chair of the IRB or contact the Division of Academic Affairs at Harris-Stowe State University at (314) 340-3612.